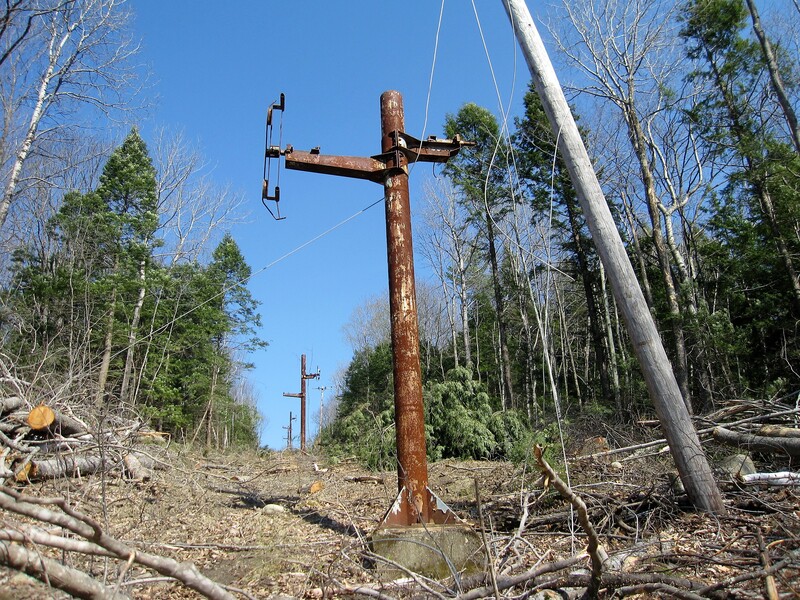 According to the New York State contracting website, the Gore Mountain Sunway, High Peaks, Hudson and Whiteface Bear Den lift replacement projects that went out to bid last fall are all on hold. Two bids were received for the Olympic Jumping Complex gondola in Lake Placid but no builder has been selected as of January 18th. A chair falls off a 1993 Yan detachable quad in Spain, closing an entire ski resort indefinitely. Lift service returns to Killington’s South Ridge for the first time in a decade as of yesterday. Bartholet completes its first 10 passenger gondola lift in Norway. Les Otten lobbies for a new bill that would permit public financing for The Balsams redevelopment. The proposed gondola in Idaho Springs, Colorado would be modeled after the Sea to Sky Gondola, which now carries more than 400,000 riders a year in British Culumbia. The 1.2 mile Colorado version would rise 1,100 feet above Interstate 70. The largest lost ski resort in Canada, Fortress Mountain, could reopen with a mix of new and refurbished lifts in 2020. Sun Valley and Snowbasin ditch the Mountain Collective Pass for a partnership with Vail Resorts and the Epic Pass starting next winter. The Laconia Daily Sun explains how Highland Mountain Bike Park finds success on the grounds of a long lost New Hampshire ski area. The former longtime operator of Timberline Four Seasons Resort is indicted, accused of illegally prescribing pain drugs. The ski area suffered a major lift accident in 2016 and has operated only sporadically this winter. Purgatory Resort closes indefinitely and is under a mandatory evacuation order due to the nearby 416 Fire. Vail Resorts CEO Rob Katz tells analysts in a conference call there are still select acquisition opportunities in North America (with more elsewhere) and that there are no specific plans yet for the $35 million in capital earmarked for Okemo, Mt. Sunapee, Crested Butte and Stevens Pass. Swiss manufacturer BMF and French competitor LST team up to sell urban ropeways in France. The Forest Service tentatively approves Steamboat’s Pioneer Ridge expansion, Bashor Gondola and other new lifts. A plan for the complete rebuild and reopening of Denton Hill, Pennsylvania is now online. Less than a month after opening its first two urban gondolas, the Dominican capital of Santo Domingo unveils plans for a massive 6.8 mile, six station 3S gondola line. Politicians block Gunstock from borrowing $600,000 for lift maintenance and other offseason projects as some call for a private takeover of the county-owned ski resort. French lift website remontees-mecaniques.net interviews Sigma CEO Yannick Morand about premium Evo & Symphony gondola cabins, air conditioning and why ten passengers are the new eight. Non-Vail Colorado resorts tallied 7.1 million skier visits last season, only 2 percent below 2016-17. The Balsams developers request that the New Hampshire Business Finance Authority delay consideration of its $28 million state-backed loan application. Mt. Sunapee plans to install the former Sunbowl quad in place of the North Peak triple and move that lift to the other side of North Peak as early as 2019. There are now four Snow King Mountain master plan alternatives; all include a base-to-summit gondola and three have a new backside chairlift. The first fly day of 2018 title goes to SilverStar, Doppelmayr and Vancouver Island Helicopters. A top ramp incident at Wachusett Mountain apparently leads to a $72,000 verdict. The approved Mt. Baldy tram at Alta remains contentious and may never happen. In hot and dry Arizona, officials close large swaths of National Forest including all outdoor summer activities at Arizona Snowbowl until further notice. The asking price for Blacktail Mountain is $3.5 million. As BMF builds its first detachable lift in Iran, the Swiss company says it has no interest in the U.S. market. OSHA proposes $64,673 in fines for 15 violations identified during the investigation into Loveland lift mechanic Adam Lee’s death. West Mountain needs a Poma return terminal and eight quad gauge towers in order to complete its third new lift of the decade. When Alta’s reimagined Snowpine Lodge opens in January, you will be able to get there on a dedicated Skytrac chairlift. Chinese investment firm acquires a majority stake in Swiss ropeway manufacturer BMF, which also owns Gangloff. Wolf Creek will build a third high-speed quad called Meadow in 2018. Aspen Skiing Company settles with a woman who sued after falling in the loading area of the Village Express. Private operator of Val Bialas Ski Center in New York resigns, citing continued financial losses. The publicly-owned mountain has a 1973 Borvig. Check out these architectural drawings of Disney World’s Skyliner gondola network. No real news but this recent drone video shows the current state of lifts and why Saddleback is worth saving. The Skytracs in St. Maarten open this week and are expected to draw some 135,000 cruise passengers a year. Here’s a Mt. Spokane expansion construction update. Adanac Ski Hill in Ontario replaced its 1950s Poma double with an Alpen Star quad this summer, bringing Doppelmayr to 15 new lifts for 2017 in North America. $150 million Raymond James settlement includes $762,503 for Burke Mountain’s new Leitner-Poma T-Bar. Power outage leads to rope evacuation of Loveland’s newest lift. Orlando Sentinel confirms Walt Disney World is building three Doppelmayr 10-passenger gondolas with six stations. Crystal Mountain breaks away from Boyne Resorts, orders five additional gondola cabins and plans to build new Discovery and Gold Hills lifts in 2018. Eldora is selling Hall and Heron chairs as six-pack construction begins. Preview Oakland’s new $13 million restaurant accessible only by gondola. Sunday River’s new owner commits to replacing Spruce Peak. This week’s cities floating gondolas include Edmonton and Burlington, Vermont. Fatzer delivers four 153-ton track ropes to Germany’s Zugspitze using two trucks linked together for the entire journey. The Aspen Times dives deep into lifty life. President of Peru inaugurates long Poma gondola to an ancient fortress. Mi Teleférico’s $75 million Blue line moved 41,000 passengers on opening day Friday. Mt. Lemmon’s main chairlift has been closed all season following tree damage from an early-season storm. Galaxy at Heavenly and High Country at Waterville Valley also see extended downtime. Emirates Air Line to close for annual week of maintenance. Whistler Blackcomb, Jackson Hole and Big Sky make CNN’s most extreme lifts. New Zealand’s first chondola on track to open this year. Doppelmayr gets underway building the new Gatlinburg Sky Lift; aggressive timeline shoots for late April opening. Leitner-Poma is building a chondola across the street. Two-stage gondola in one of the world’s oldest cities looking more likely. Two skiers injured in fall after tree hits their gondola cabin. 130 rope evacuated after Italian chairlift de-ropes in crazy winds. Snowbasin and Sugarbush join the Mountain Collective, former member Whistler-Blackcomb goes Epic with Stowe to follow. Bogus Basin plans to replace Morning Star…in 2020. Granite Peak will announce a plan this fall for new runs and multiple new lifts. Crystal Mountain pushes back Kelly’s Gap high speed quad to 2021. James Coleman purchases Hesperus, adding to his collective that includes Arizona Snowbowl, Pajarito, Purgatory and Sipapu. A 1961 Riblet double from Mt. Bachelor is Hesperus’ only lift. Fatzer opens a new production plant. The United States overtakes France as the world’s most popular ski destination. The U.S. is the fourth largest lift market. Austin’s NPR station dedicates more than seven minutes to a discussion about urban cable. “Once we went to La Paz, we were up and running within 12 months,” Doppelmayr’s Randy Woolwine tells listeners. A six-pack rises at Arizona Snowbowl. Eagle Point unveils Vision 2020 with new lifts and expanded terrain planned. Next season might be the last for Blackcomb’s Horstman T-Bar due to glacial recession. This video demonstrates one of the pitfalls of the sinking T-Bar. SAM reports how Jay Peak employees have made the most of a bad situation amidst a federal fraud investigation. Mont Bellevue gets a Doppelmayr Eco quad with a return station design we haven’t seen before and two different-style bullwheels. Le Relais’ $5 million six-place chair is just about finished. Vail Resorts loses $65.3 million in the fourth quarter. Big Sky’s new six-pack will be named Powder Seeker. The first Poma EEZII-model compact detachable terminal is assembled in France. Whistler-Blackcomb releases Conflicted Obsessions documentary about climate change. “The gorilla in the room is the long-distance travel required to get to these special places,” admits W-B’s environmental resource manager.